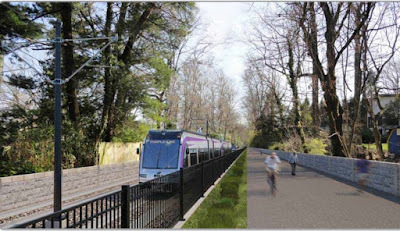 Today, the Georgetown Branch Trail in Montgomery County closes for several years for Purple Line construction. While I'll miss it, losing this version of the trail is worth getting a better, longer trail in return. 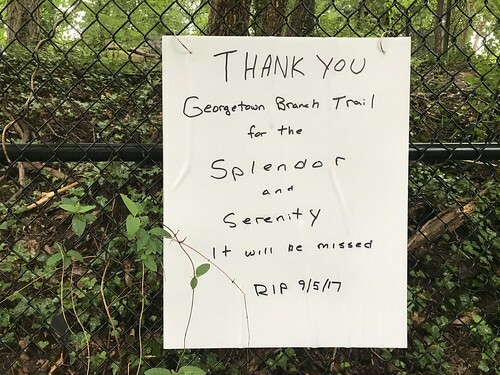 Somebody posted this sign on the trail in Bethesda this weekend. Photos by the author unless noted. Last week, the Purple Line light rail broke ground after a three-decade fight that culminated in a lawsuit filed by some Chevy Chase residents who live next to the future route. For four miles between Bethesda and Silver Spring, the line will run along the Georgetown Branch, a former freight rail line that Montgomery County bought in the 1980s to eventually use for a transit line. In the meantime, they turned it into a temporary extension of the Capital Crescent Trail, which goes from Bethesda to Georgetown. One day after the announcement, Maryland announced that the trail will close for up to five years while construction happens. The official detour is on busy Jones Bridge Road, as the town of Chevy Chase doesn't want people biking on other, safer streets that go through their town. Some residents who live near the trail are very upset, and held a march on the trail yesterday in protest. Chevy Chase resident John Fitzgerald, who filed the lawsuit that temporarily blocked the project, is seeking a restraining order to stop construction. Meanwhile, Montgomery County councilmembers Roger Berliner and Tom Hucker asked the state to consider keeping the trail open a little longer. The trail today is unpaved and ends two miles west of Silver Spring. We rode the temporary trail from Lyttonsville, where it currently ends, to Woodmont Avenue in Bethesda and back, a distance of about seven miles, in the rain. And for a moment, I couldn't blame people for mourning. I barely noticed the distance, or how wet my socks were getting. The stresses that normally accompany biking on busy city streets had melted away. The almost continuous tree cover shielded us from the rain, and the trail’s gentle slope meant I didn't have to pedal too hard. Because the trail is entirely separated from cars, I didn’t have to worry about getting doored by parked cars or being sideswiped by a driver wandering into the bike lane. We even found a steady stream of other people walking, jogging, and biking along the trail, even as the rainstorm grew. But as we biked east across Rock Creek, that experience changed fast. The gravel trail had lots of ruts and puddles, and we nearly ate it a few times. People had dumped their garbage along the trail. In Lyttonsville, we passed industrial buildings, a Ride On bus lot, and what appeared to be a junkyard. And of course, the trail abruptly ended in a parking lot two miles west of downtown Silver Spring. 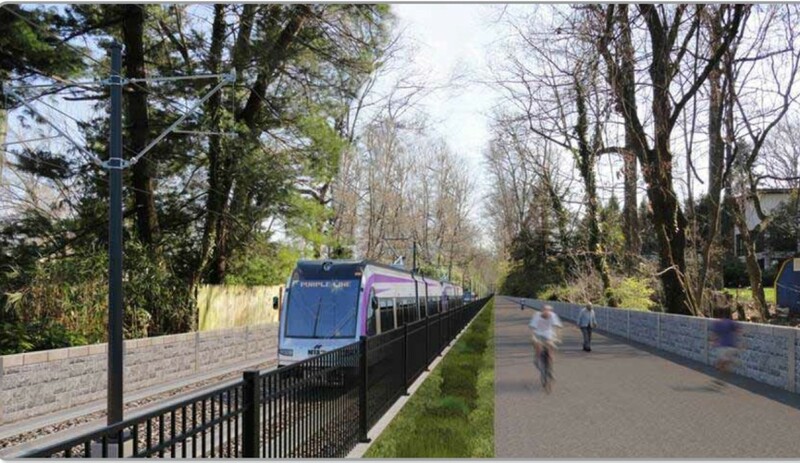 How the trail and the Purple Line will look after completion. 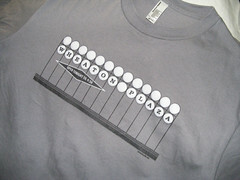 Image from the MTA. If you live anywhere east of Bethesda, the trail that some neighbors fought so hard to preserve isn’t as accessible. From my building in downtown Silver Spring, the best path to the trail involves biking on big, stressful roads like East-West Highway or 16th Street. 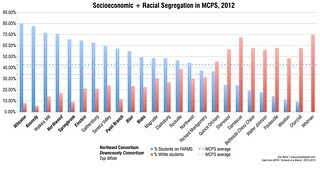 That’s why I’m looking forward to the Purple Line. As part of the project, the trail will finally be paved. Overpasses will replace two dangerous intersections where the trail crosses Connecticut Avenue and Jones Mill Road. The trail will extend further east, along the right-of-way Purple Line trains will share with Metro, MARC, and Amtrak trains between Lyttonsville and the Silver Spring Metro station. 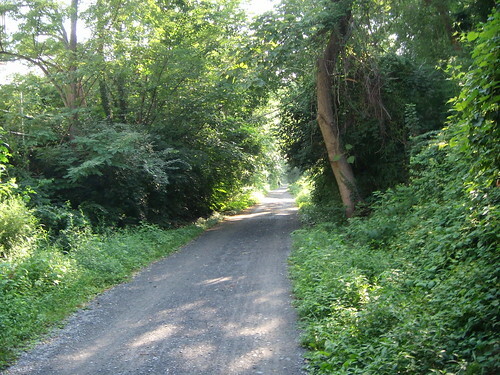 And there, the Capital Crescent Trail will connect to the Metropolitan Branch Trail and the Silver Spring Green Trail (which connects to the Sligo Creek Trail), filling a big gap in the region’s trail network. It won’t be exactly the same. There won’t be as many trees on the trail when it reopens alongside the Purple Line in five years. And it won’t be a private amenity for the homeowners lucky enough to live next to it. But neighborhoods across Montgomery County, Prince George’s County, and DC will have access to the same fun and safe off-road trail experience that people in Chevy Chase and Bethesda enjoy today. To me, that’s worth it.